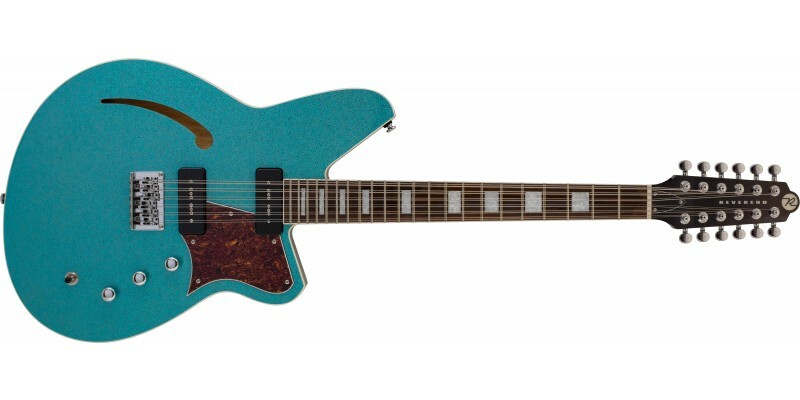 The Reverend Airwave 12 String in Aqua Sparkle is a gamechanger for electric 12 string guitars. It has some very clever design features that set it apart. The Gloss Aqua Sparkle - with Violin Brown back and sides - is a limited edition finish only available from Merchant City Music in the UK. We only have one of these, so act fast! We ship fast across the UK and beyond. Want a closer look? Then pop in to our Glasgow store. We also ship worldwide at very reasonable rates so contact us if you are interested. Reverend have produced an outstanding 12 string electric guitar in the Airwave. The shorter 24-3/4" scale provides lower string tension making it far easier to play than regular 12 strings. A 1-3/4" nut provides proper spacing for the extra strings. Seriously, this is by far the easiest to play 12 string guitar we have ever come across. It also intonates perfectly thanks to a bridge that is fully intonateable for all 12 strings independently. Chords are always in tune and sound sweeter than you’d expect. 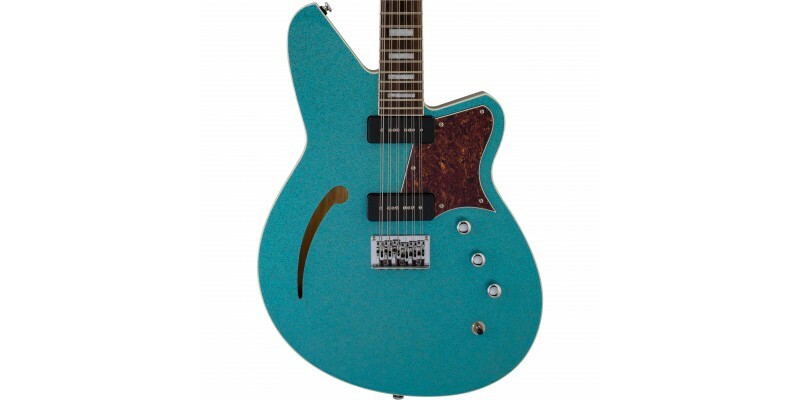 The offset double cut semi-hollow body is made from Korina with a solid Spruce top. Reverend's updated 9A5 P90’s are used to great effect in the Airwave 12-String, providing the perfect tone. The 3-way switch with volume, tone and bass contour controls allows you to dial in a myriad of sounds all of which are extremely usable. 12 string guitars can be notoriously difficult to tune. The Reverend Airwave holds its tuning perfectly thanks to the combination of a self lubricating Boneite nut and locking tuners. The standard 6 strings are strung through the body with the octave 6 strings strung through the back of the bridge plate. This gives the Airwave great sustain. We've been blown away with how good the Reverend Airwave 12 String Natural is. This is a 12 string guitar that you can play lead on if you wish, it's that easy to play and it sounds great!